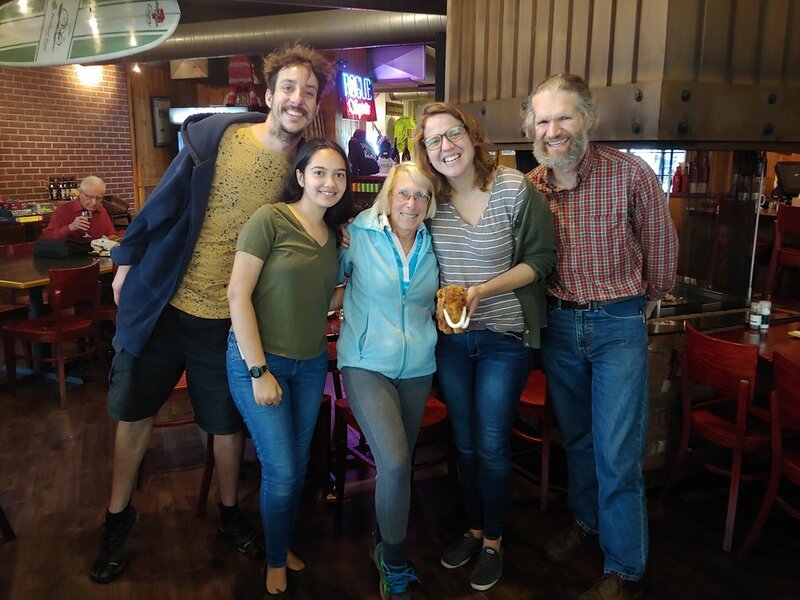 Lunch with Dr. Alison Stenger, new FOSL (Friend of the Stedman lab) and old bone expert. Alison connected us (through Ellis Torrance, Cruci-consultant) to the archaeological digs in Woodburn, Oregon (see Woodburn, OR, 13 Aug 2018 page). Thanks Alison!